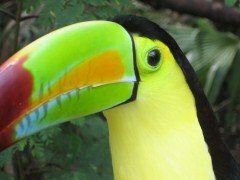 San Ignacio, the adventure and wildlife spotting capital of Belize. Fascinating Mayan ruins hidden deep in the jungle. The turquoise waters and white sandy beaches of Ambergris Caye. Reggae music and a fabulous laid back atmosphere. Take a side trip into Guatemala and explore the hidden jungle ruins of Tikal. Do some island hopping in Belize and enjoy more beach time in laid back Caye Caulker. Get off the beaten track and take a side trip to the Orange Walk district in northern Belize. This extraordinary jungle destination is home to an abundance of wildlife and offers the chance of spotting an elusive jaguar. On arrival at Belize City airport you will be met and transferred to your hotel in the Cayo District in the western interior of Belize, approximately a two hour drive. 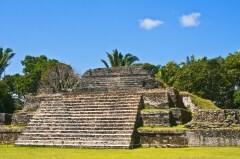 The Cayo District encompasses a large portion of the Maya Mountains and has more than its fair share of ancient Maya sites to visit and explore, such as Caracol, Xunantunich, and Cahal Pech. Cayo is home to forests teeming with wildlife and immaculately beautiful tropical watersheds catered to by a variety of jungle and river lodges. Visit the ancient Maya city of Xunantunich for an opportunity to view original carved monuments depicting Maya rulers and warriors in their full regalia and journey 130 feet to the top of “El Castillo” to capture a panoramic view of the Belize River Valley. Then continue to Barton Creek Cave in Amish territory. Gently paddle your canoe into Xibalba (she-bal-ba), Maya for underworld. You will be dazzled by the glistening crystalline formations and awed by the Maya artefacts secretly tucked away in overhead alcoves. This day is at your leisure to partake in one of the many adventure options available from the famous caves of Actun Tunichil Muknal and Barton Creek, to river tubing, kayaking and canoeing. Our representative will pick you up from your hotel and transfer you to Belize City airport for your short fifteen minute flight to Ambergris Caye which is included. You will arrive in the quaint seaside village of San Pedro where you will be transferred to your hotel and spend three nights in island ambience enjoying snorkelling, diving or fishing by day and relaxing to the Caribbean rhythm in the evening. The next two days are at your leisure to relax and snorkel in the warm clear waters of the Caribbean lap. A stay at Ambergris Caye gives you access to the beautiful sandy islands of the world’s second longest barrier reef; renowned for its spectacular snorkelling and diving. If you’re a diving enthusiast then a feature attraction of Belize, is the opportunity to explore the famed Blue Hole. Part of the Lighthouse Reef System, it can be reached on a day trip from Ambergris Caye. Our representative will pick you up from your hotel and transfer you to the airport for your departure flight to Belize City which is included. Connect with your departure flight.